In 1972, the Surgeon General issued the following warning on violent TV programs: "It is clear to me that the causal relationship between televised violence and antisocial behavior is sufficient to warrant appropriate and immediate remedial action. … There comes a time when the data are sufficient to justify action. That time has come." That was over 4 decades ago! In the years since this Surgeon General warning was issued, hundreds of additional studies have shown a link between violent media exposure and aggression . The Surgeon General warning was about violent TV programs and films. What about violent video games? There are at least three reasons to believe that violent video games might be even more harmful than violent TV programs and films. First, video game play is active whereas watching TV is passive. People learn better when they are actively involved. Suppose you wanted to learn how to fly an airplane. What would be the best method to use: read a book, watch a TV program, or use a video game flight simulator? Second, players of violent video games are more likely to identify with a violent character. If the game is a first person shooter, players have the same visual perspective as the killer. If the game is third person, the player controls the actions of the violent character from a more distant visual perspective. In a violent TV program, viewers might or might not identify with a violent character. People are more likely to behave aggressively themselves when they identify with a violent character . Third, violent games directly reward violent behavior, such as by awarding points or by allowing players to advance to the next game level. In some games, players are rewarded through verbal praise, such as hearing the words "Nice shot!" after killing an enemy. It is well known that rewarding behavior increases its frequency. (Would you go to work tomorrow if your boss said you would no longer be paid?) In TV programs, reward is not directly tied to the viewer's behavior. In summary, there are good theoretical reasons to believe that violent video games are even more harmful that violent TV programs or films. We also have some empirical data showing this is true . In this study, children were randomly assigned to play a violent video game or watch someone else play it. There was also a nonviolent video game control condition. Aggression was measured through peer nominations of real-life aggressive incidents during a free play session at school (e.g., hitting, kicking, pushing another child). The results showed that boys who played a violent video game were more aggressive afterwards than were boys who merely watched. Although there are not many studies that have directly compared violent TV programs and video games, numerous studies have tested the effects of violent video games. We recently conducted a comprehensive review of 136 articles reporting 381 effects involving over 130,000 participants around the world . These studies show that violent video games increase aggressive thoughts, angry feelings, physiological arousal (e.g., heart rate, blood pressure), and aggressive behavior. Violent games also decrease helping behavior and feelings of empathy for others. The effects occurred for males and females of all ages, regardless of what country they lived in. This review also sheds light on why violent video games increase aggression. Someone who has aggressive thoughts, feels angry inside, lacks empathy for others, and is highly aroused should be more likely to behave aggressively. In summary, although they are not the only factor that increases aggression, violent video games do have a significant effect on aggression. Brad J. Bushman is a Professor of Communication and Psychology and the Margaret Hall and Robert Randal Rinehart Chair of Mass Communication at The Ohio State University. Steinfeld, J. (1972). Statement in hearings before Subcommittee on Communications of Committee on Commerce (United States Senate, Serial #92-52, pp. 25-27). Washington, DC: U.S. Government Printing Office. Anderson, C. A., & Bushman, B. J. (2002). Media violence and societal violence. Science, 295, 2377-2378. Konijn, E. A., Nije Bijvank, M., & Bushman, B. J. (2007). I wish I were a warrior: The role of wishful identification in effects of violent video games on aggression in adolescent boys. Developmental Psychology, 43, 1038-1044. Polman, J., Orobio de Castro, B. & Van Aken, M. (2008). Experimental study of the differential effects of playing versus watching violent video games on children's aggressive behavior. Aggressive Behavior, 34(3), 256-264. Anderson, C. A., Shibuya, A., Ihori, N., Swing, E. L., Bushman, B. J., Sakamoto, A., Rothstein, H. R., Saleem, M., & Barlett, C. P. (2010). 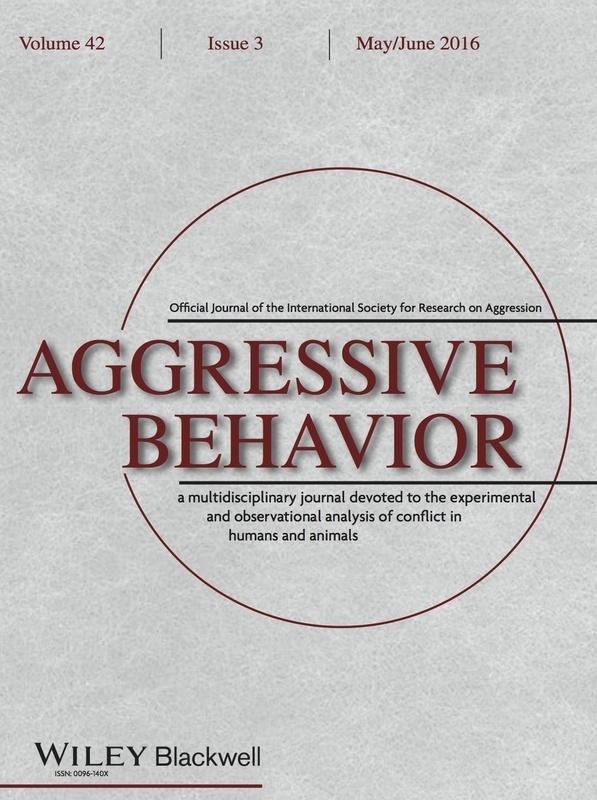 Violent video game effects on aggression, empathy, and prosocial behavior in Eastern and Western countries: A meta-analytic review. Psychological Bulletin, 136(2), 151-173.